Get help preparing your 2018 Income Tax Return. 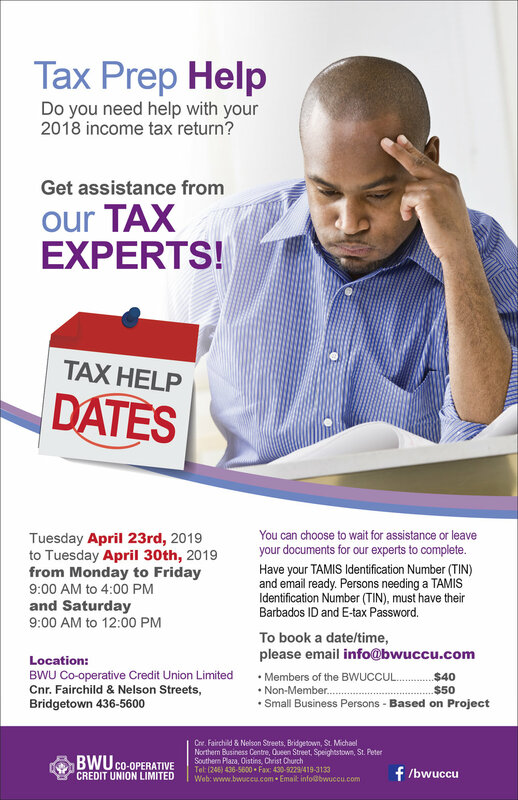 Visit the BWU Cooperative Credit Union on Fairchild Street from Tuesday April 23, 2019 to Tuesday April 30, 2019 from 9:00 AM to 4:00PM. See our poster for more information.